Sweeping, sweeping, sweeping...the swooshing sound of sticks and dried palm fronds on Mr. Gede's handmade broom begin before the sun rises, and never truly ends. One of my most visceral memories of this island will be the sound of rough brooms scraping stone sidewalks. Walk down any street at any time of day and you'll see shop owners sweeping the corner of the world carved out for their livelihood. Even the woman who sells sarongs at the beach, in a Sisyphean display of resilience, sweeps sweeps sweeps the encroaching sand. They're sweeping the 'evil' or 'natural' energy away so that they can make an offering on clean ground. 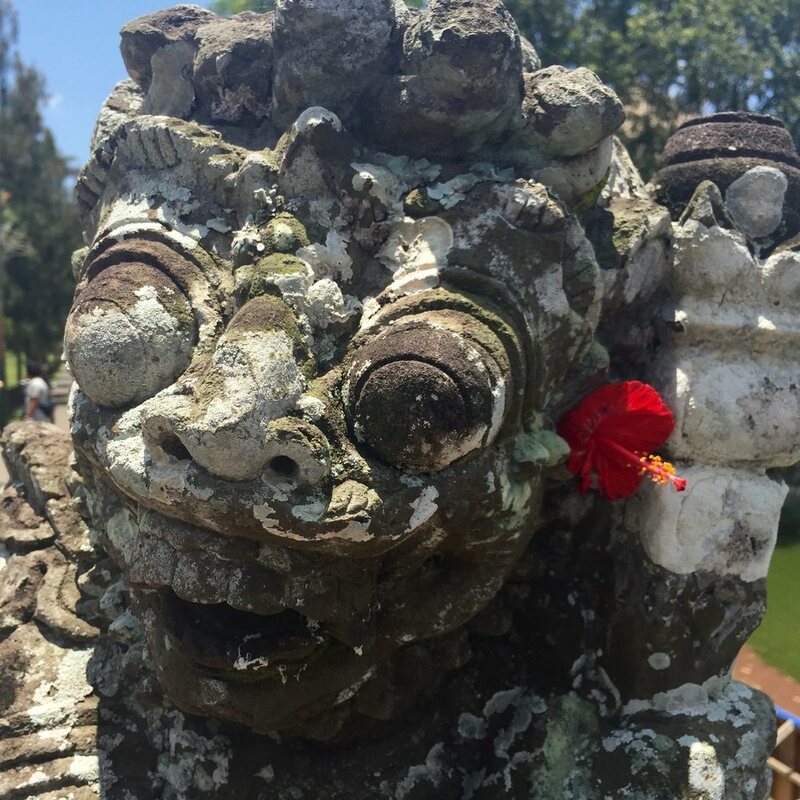 The Balinese people are in a constant state of preparing for, or enacting, sacred ritual. I will never forget my pre-dawn walk through Sanur - a result of jet lag and an early morning snorkel trip - and the city employee I saw sweeping with a giant steel drum in tow. 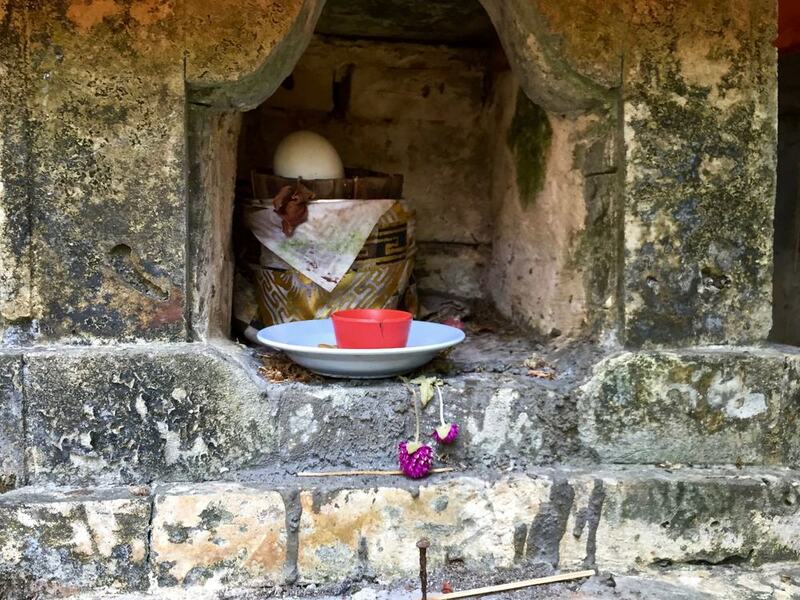 The woman was calmly clearing away all of the offerings from the previous day, quickly filling her compost can with hundreds of banana leaf boxes, countless flowers and burned out incense stubs, stale clumps of rice, a few crumbled crackers. Her work had the impermanent sensation of a Tibetan mandala. 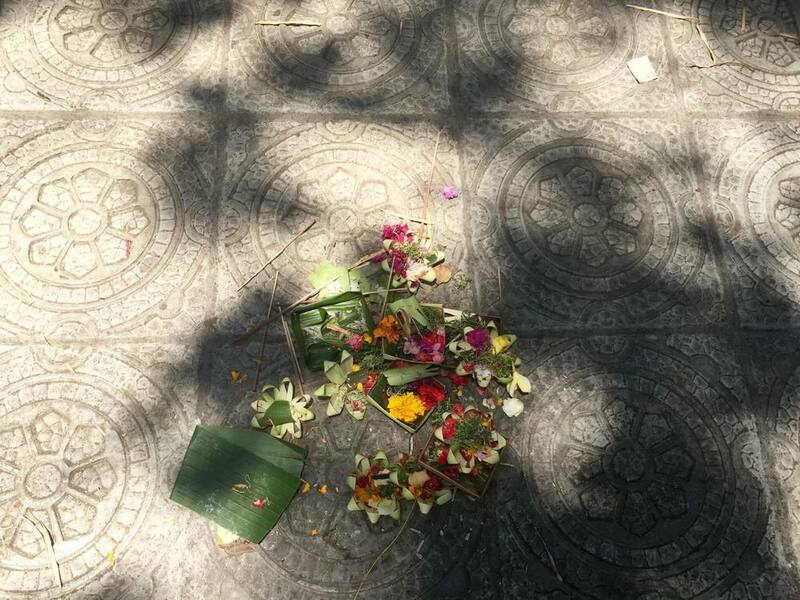 The offerings so lovingly created, so intentionally placed and prayed over, swept away unceremoniously. 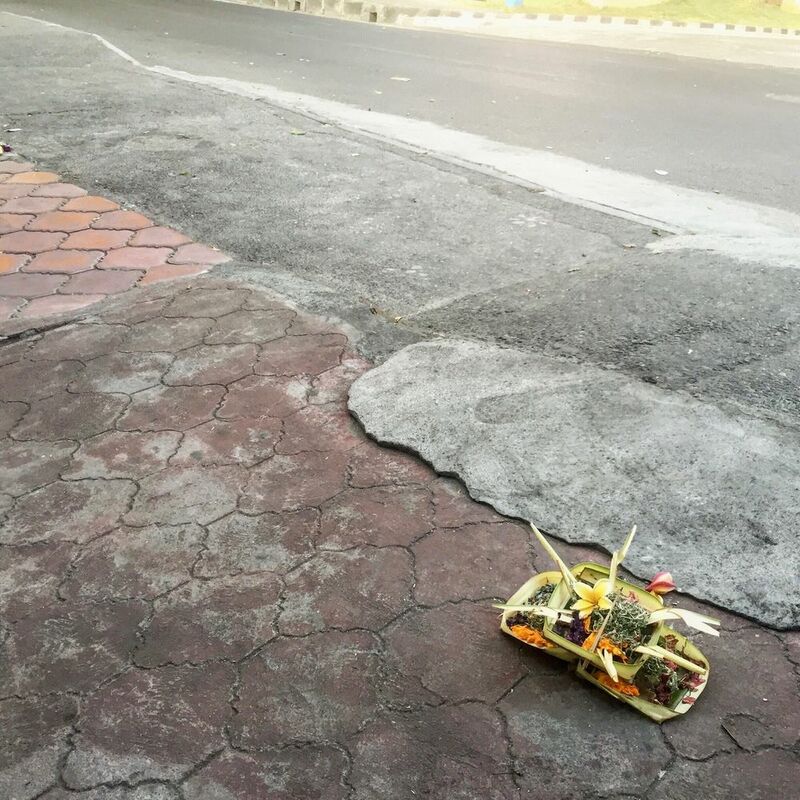 The sidewalks were wetted with a garden hose, and then came the sweeping, the offering, the sweeping, the offering, the sweeping, the rhythm of Balinese life. 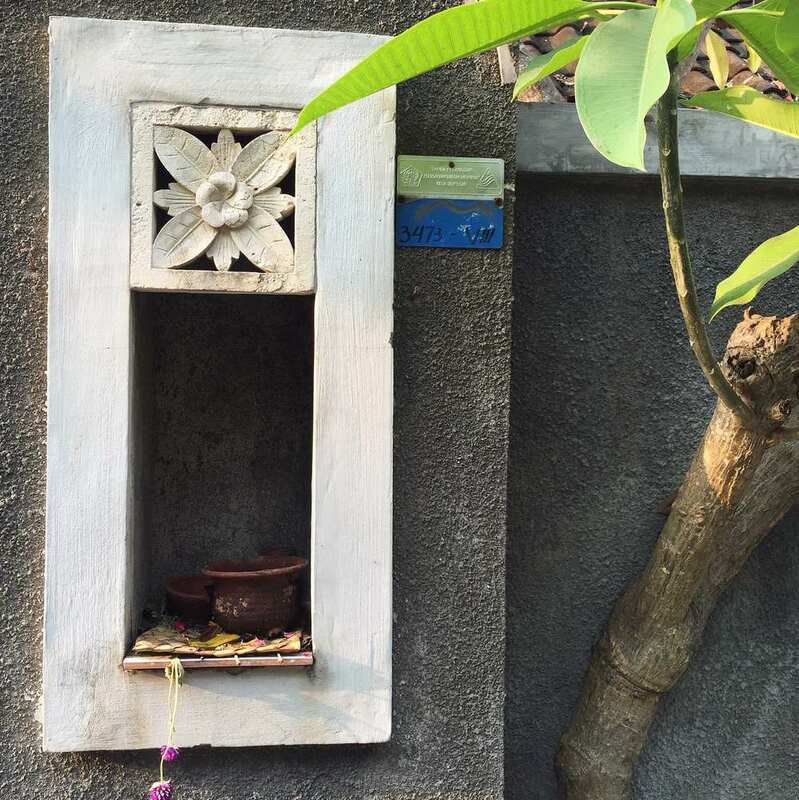 Think of the offerings as small acts of faith outwardly displayed. 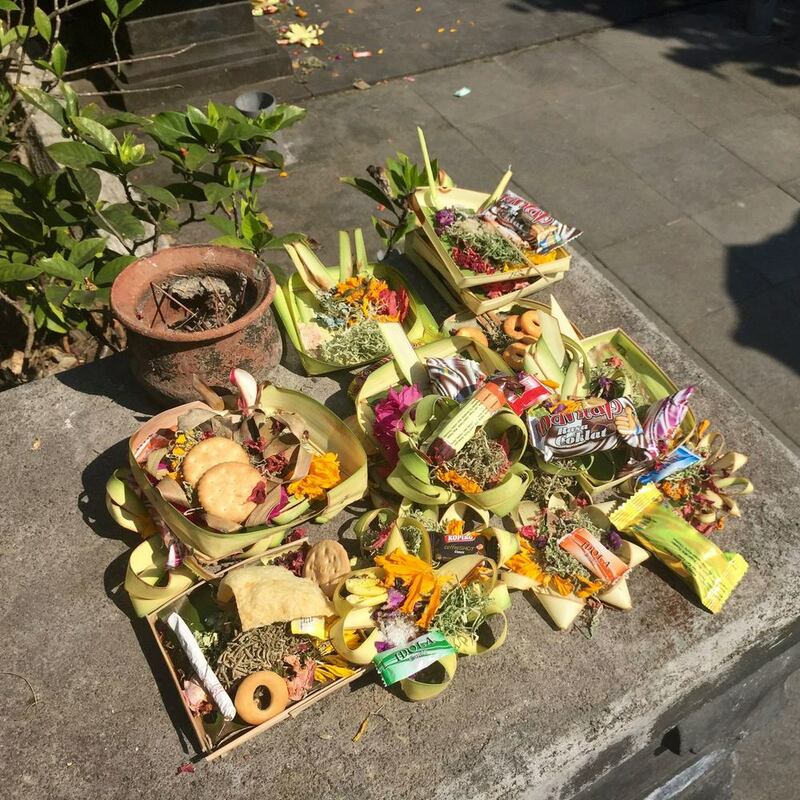 These rituals of faith are meant to appease the energies, gods, and goddesses so intricately woven throughout Balinese Hinduism. 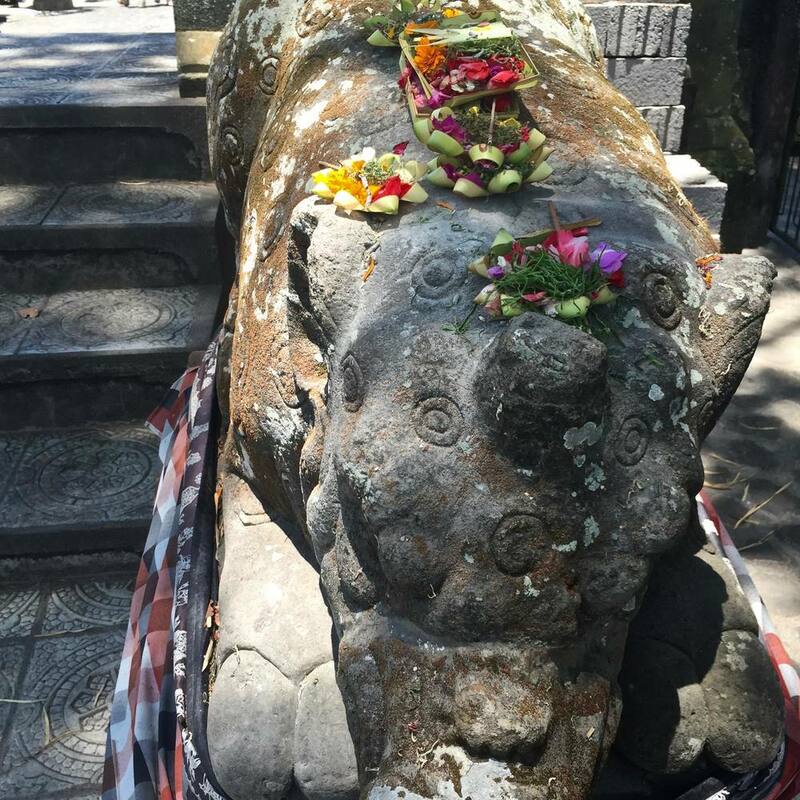 They believe there is holy energy and there is evil energy in everything - in you, me, the banyan trees, the stone sidewalk, the wild dogs that roam the city streets. 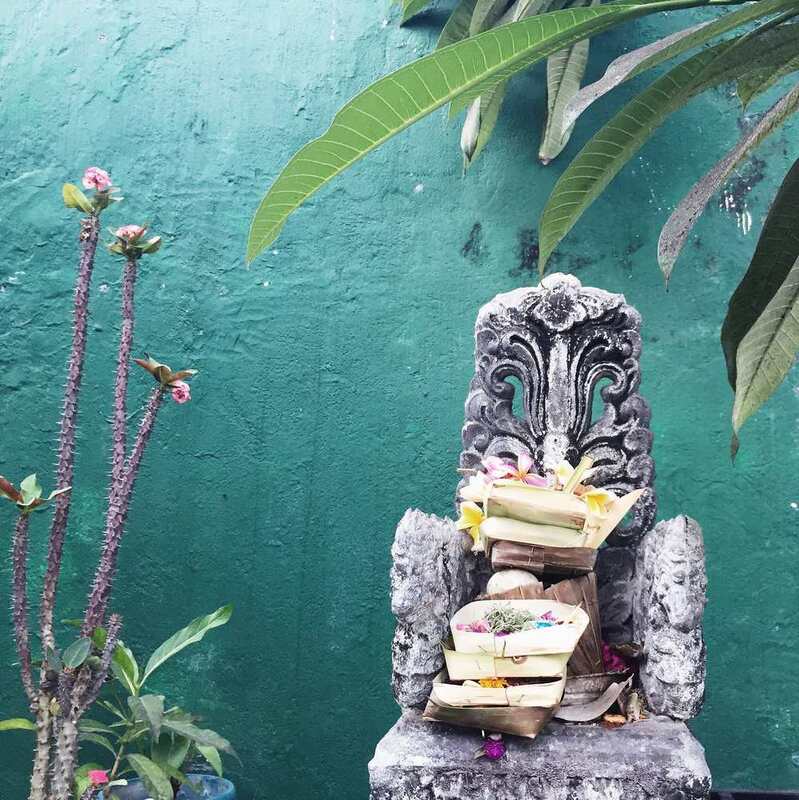 The beauty of Balinese offerings, as explained to me by my tour guide Pak Putu, is that they are intended only for balance. There is no punishment of the evil energy, it just is. There is no praise of the holy energy, it just is. Both just exist, as they are, equally necessary forces that make the world go 'round. 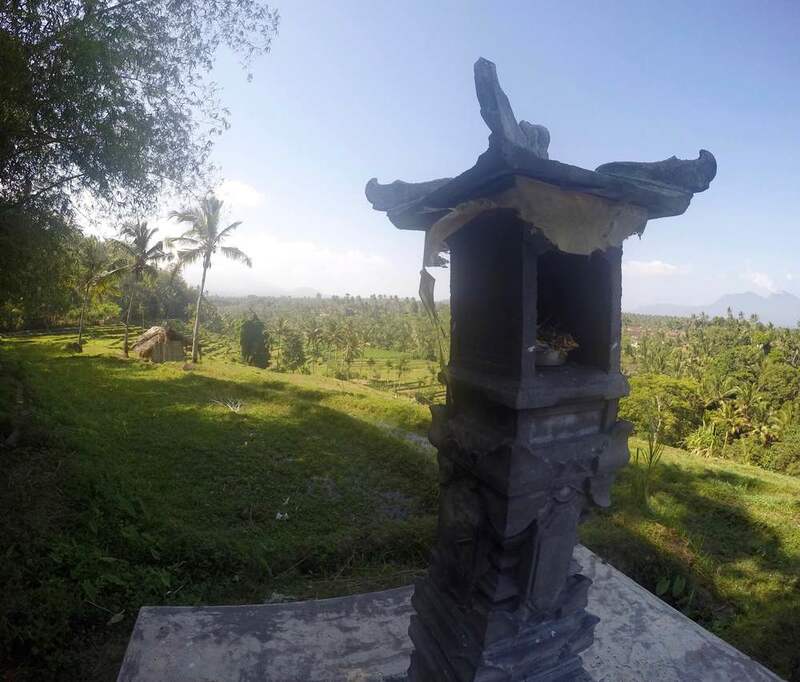 It's the balancing of these energies that occupies so much time and thought and ritual and offering in Balinese life. 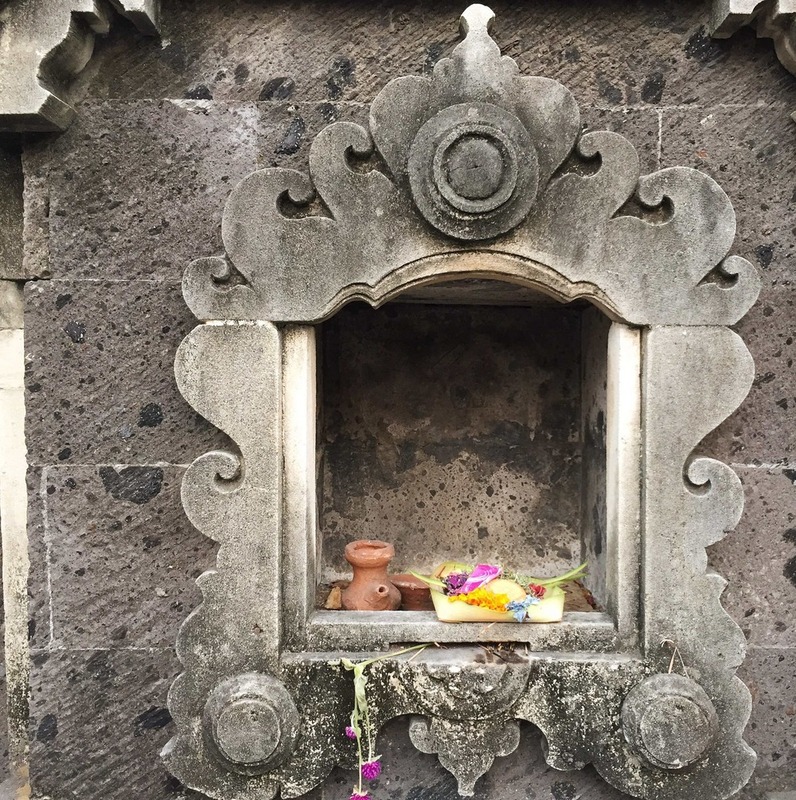 I wrote earlier about the lesson of letting go - the detached peace the Balinese have with their offerings. This lesson led to an even deeper consideration: If I want to achieve a balance of energies in my life, something must change. If everything was currently aligned as it should be for optimal balance, I'd feel more...well, balanced. There's clearly work to be done and much like the sweeping, it's work that never ends. The work of balancing our lives is work that needs consistent, loving attention. So I asked myself: What would I offer in the name of balance? What would I willingly place on the altar in order to feel this harmony of energies? What would I watch be swept away, with a detached calm, knowing that everything I need is in constant supply? I offer my attention to allowing a feminine 'being' energy as a balance the hyper-masculine 'doing' energy that has ruled my life to this point. I offer my surrender to the deep knowing that i have everything I need to be happy, safe, and healthy. In literal terms, I will continue to pare down the contents of my 46L backpack until my travel experience feels light, supple, and free. I offer my desire to be showered with opportunities and resources that allow me to continue traveling the world. I offer my desire that friends and family back home are also passionately pursuing their dreams. I offer deep gratitude for my Hashimoto's diagnosis, the doctor who facilitates my healing, and the many medications that sustain me throughout my globetrotting. I offer my writing, my coaching, the products and services of my business to the liberation of people who are ready to create a life on their terms. I offer my energy to a partner in crime, a fellow seeker, adventurer, wanderer. May our walkabout paths cross somewhere in this wide wide world and may we recognize what we've found. What would you offer in the name of balance? What would you willingly place on the altar in order to feel this harmony of energies? What would you watch be swept away, with a detached calm, knowing that everything you need is in constant supply? I want to hear from you and I want to support your big, gorgeous dreams. Leave a comment and let's chat.